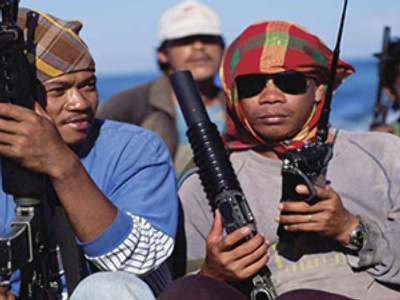 Pirate attacks have become a huge headache for the entire world and gaps in the international law are making it even more difficult to tackle the problem. Most of the time foreign navies disarm and release pirates. In the latest such case, the Russian Navy had to set free 10 Somali pirates who were captured in an operation to rescue the tanker “Moskovsky Universitet” (Moscow University), which was seized off the Somali coast on Wednesday. According to the spokesman for the Defense Ministry, Colonel Aleksey Kuznetsov, the move is a result of “the imperfection” of international law. "Unfortunately, at present there exist no legal rules for prosecuting in court the pirates operating in the region of Somalia," an unnamed source at the ministry explained to RIA Novosti. "This means they do not fall under the jurisdiction of any state or international law." Earlier, on Thursday, President Dmitry Medvedev said the lack of an international legal agreement on how to prosecute Somali pirates undermined the effort to eradicate piracy in the region. During his meeting with Defense Minister Anatoly Serdyukov, the president vowed to punish Somali pirates. "What is the problem? We are all aware of this evil and cannot agree on how to fight it," Medvedev said as quoted by RIA Novosti agency. "We will have to act as our forefathers did when they met pirates," he added. "Of course, we will fight pirates with the full force of maritime law." The Russian leader did not clarify how exactly that fight would be carried out, but did order the Foreign and Defense Ministries to work out an international legal base to counter piracy. Among the measures already been taken by Moscow to sort the complicated issue was the proposal of a draft resolution on the establishment of a special body to try pirates captured off the Somali shore. The document was approved by the UN Security Council at the end of April. The resolution appealed to Secretary General Ban Ki-moon to draft a report on an international legal framework for countering sea piracy which must be ready in three months. "… The Security Council has been engaged actively in the matters of Somalia and piracy off the coast of Somalia for the past 18 months. But we think that so far, the results are not entirely satisfactory. The problem continues to be there and in some respect it is growing," Russia’s envoy to the United Nations, Vitaly Churkin said as quoted by the UN Radio. "And we feel that one of the weak links in the entire set-up with all the energy which is being expended by the international community with navies of various countries, including Russian naval vessels off the coast of Somalia, one of the weak links is the legal process which would allow us to be sure that there is no impunity once pirates are caught off the coast of Somalia." In 2009 alone, Somali pirates attacked a total of 217 vessels, resulting in 47 hijackings and 867 crew members taken hostage, according to the International Maritime Bureau. About 20 countries, including Russia, have sent warships to the Gulf of Aden. However, so far this measure has not brought the international community much closer to making the troubled region safer for vessels. With the multi-million dollar ransoms pirates get, they are now able to acquire the most up-to-date equipment and weaponry. 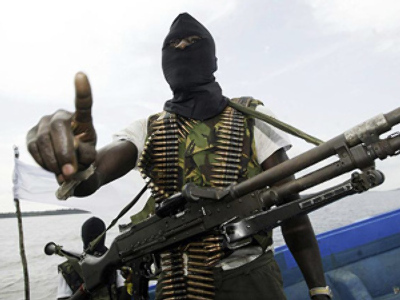 Moreover, according to Interpol officials, Somali pirates are getting help from organized crime. In October last year, speaking at the assembly of the France-based global police organization, Mick Palmer, Australia's Inspector of Transport Security, said there was "clear evidence" of increasing organization in the pirates' activities. "Their weaponry continues to get more sophisticated, their attacks are taking place farther and farther out to sea… as far as 1,200 nautical miles offshore," Palmer told reporters as quoted by AFP. "So they are getting some quite sophisticated assistance in locating big trading ships." Russia, standing firm on its decision not to lose the battle, will built at least one ship to counter sea piracy, Vice-Admiral Konstantin Sidenko, Commander of the Russian Navy's Pacific Fleet told Itar-Tass on Friday. Leaving aside the cost of rescue operations, there is a far greater problem: the impunity with which attackers can operate encourages piracy, since those who decide to join the “business” see that the biggest risk for them is spending a while on a warship before they can come back home. So, what exactly can become a solution to this complicated issue? And that is where complications start, since whether a country can prosecute pirates at home or not depends on its internal laws. 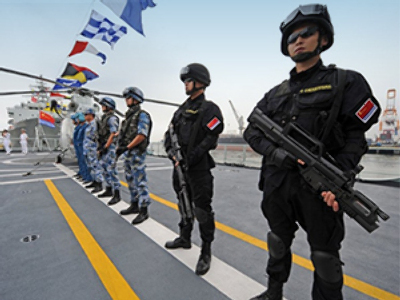 In addition, in every single case, a number of circumstances, including the legal process requirements of countries involved, have to be taken into account and often navies simply do not know what to do with the captured pirates and therefore release them later. In addition, he said, it is rather difficult to gather evidence. “None of them has an identity card saying its holder is a pirate,” Satanovsky added. Unless all the pieces of that legal jigsaw are put together, uncertainty will remain and pirates can continue with their activity with impunity.